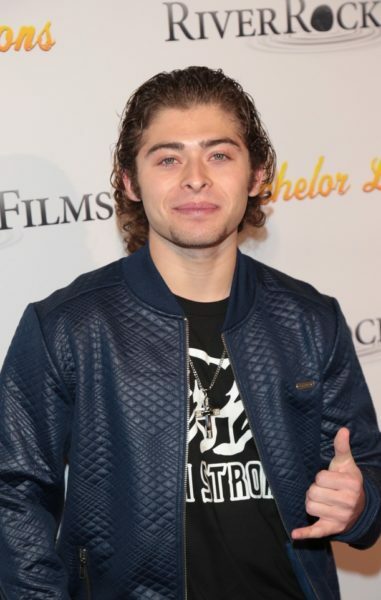 Place of Birth: San Diego, California, U.S.
Ryan Ochoa is an American actor. He is the brother of actors Rick Ochoa, Robert Ochoa, Raymond Ochoa, and Destiny Ochoa. Ryan’s brother Raymond has described himself as a “white Mexican.” The siblings also have an Italian-American maternal grandmother, a Jewish paternal great-grandfather, a Filipino maternal great-grandfather, and a maternal great-grandmother who was of English, German, and Scottish ancestry. The surname Ochoa is usually of Basque origin. Ryan’s paternal grandmother is the daughter of William Solgonick and Mary Isabel Garcia. Ryan’s great-grandfather William was born in Pennsylvania, to Russian Jewish/Ukrainian Jewish parents, Louis Solgonick, from Kruti, and Kat/Katie Rosen, from Zhitmoir. Ryan’s great-grandmother Mary was of Mexican descent, and was the daughter of Pedro E. Garcia and Mary Calmenero/Colmernero. Ryan’s maternal grandfather is the son of Dalmacio/Alex Mayo Espero and Mary Grace Wilson. Ryan’s great-grandfather Dalmacio was born in Municipality of Bacnotan, La Union, Philippines. Ryan’s great-grandmother Mary had English, German, and Scottish ancestry, and was the daughter of Ira Elmer Wilson and Jane Sophia Reener. Ryan’s maternal grandmother is Arlene Frances DeRenzi (the daughter of Mario Frank Derenzi/De Renzi and Doralba Juliana Pignataro). Arlene was born in California. Mario was the son of Grazioso/Gray Bimgnamo Derenzi/De Renzi, from Verbicaro Cosenza Province, Calabria, Italy, and of Lena Antoinette Mangano, whose family was also Italian. Doralba was also the daughter of Italian parents, from Calabria, Salvatore Pignataro, from Verbicaro, Cosenza, and Josephine Helen Lucchesi.